Yes, guys, you read that right, 1969! Car is located in Western Pennsylvania. Get some underside photos, especially of the frame rails and floor pans. It will help your cause. Judging from the outside, it looks like a Series II body with a series I hatch. Could it really be a 69? 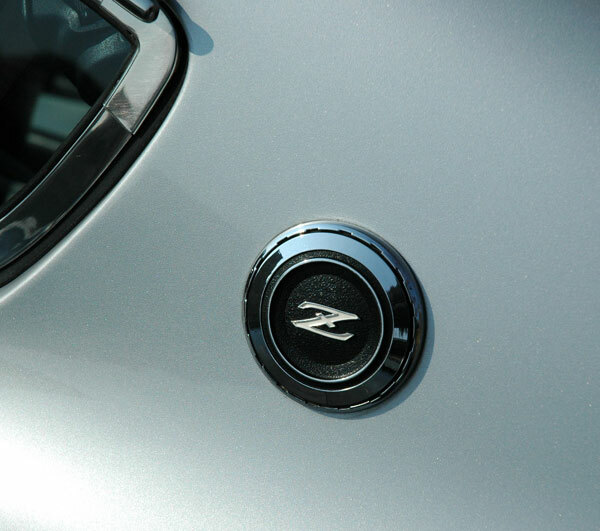 Could be a 69, this came up on the nissan website as a 69 fairlady z model..
A Series II body in 69? Really. I'm continually amazed at how little I know about these cars. More great Z trivia. The VIN and door plate info could help resolve this. Who flared the rear wheel wells? Don't forget the engine serial number. Edit: You would have to state in the auction that you are willing to do an international transaction. What about the outside of the car makes you say it looks like a "Series II body with a series I hatch"? It looks like a 1970 S30 to me. I can't read Japanese, but based on the second photo the OP attached it looks like the VIN is S30-03814, which would make it a 1970 model year, but too late to be a 1969 production car I think. I'm sure Alan T could confirm if he see this thread. There are three Showa dates shown in that same photo, the first is 45-10-23, which is Oct 23, 1970. I am wondering if that was the date it was purchased by the original owner? Looks like a solid early car. Well spotted, Mike. 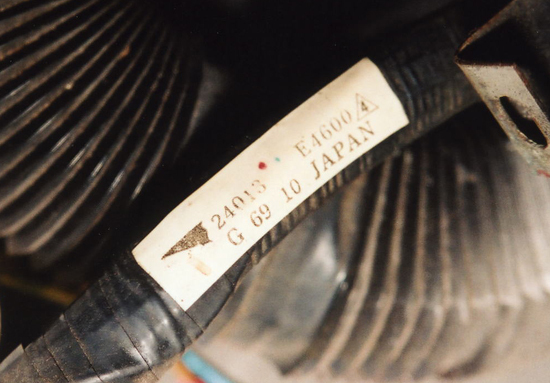 The page with the Showa dates in the wallet with the owners manual is the dealer warranty, and it shows the 'Shatai Bango' (body/chassis number) as '03814' and type as 'S30', so it is 'S30-03814', a 'Nissan Fairlady Z-L' built around July 1970. 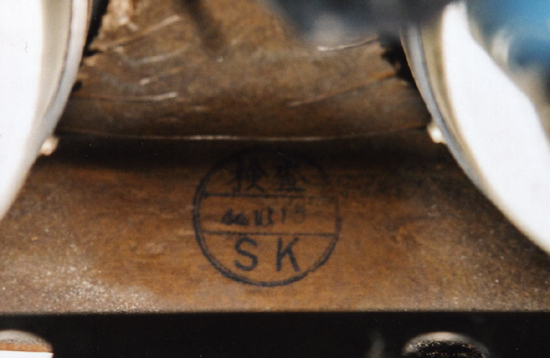 Japanese market cars didn't have door jamb tags, or dash-mounted chassis number tags either. I have a 1970 Fairlady Z-L too. It has the chassis number 'S30-03761', so just 53 apart in the same numbering sequence. Guys, I have more pictures and a copy of the appraisal report specifying that this is an original, numbers matching 1969 Fairlady Z... But the uploader keeps failing this morning? "Appraised" by whom? I can only conclude that this person did not know what they were looking at. As stated above, I have a lower chassis numbered Fairlady Z-L myself and it was made in the second half of 1970. Nissan Shatai's production records and the records of the Japanese motor vehicle licensing agency contradict the claim that your car was built in 1969. If you look closely at all the manufacturing date codes and quality control stamps on the componentry of the car they will show a majority of June/July/August/September 1970 dates. And here's no "numbers matching" in the accepted sense for these cars, as the chassis tags on Japanese market cars did not record the original engine number in the way that north American market cars did. Sorry, but it's a 1970 car. You'll put yourself in a stronger position regarding the sale if you embrace that fact. I don't agree with the appraisal but so what. I'm thinking that you have a purchase order document dated 1969 and that's why you are claiming the date? Or is it the 69 in the photograph you posted? What's written next to the 69, Alan? A "numbers matching" statement means that the numbers on the chassis and engine match an ID tag or some form of appropriate documentation. It doesn't look like you have the engine # on the ID tag however if it is still the original 2-liter it probably is "matching". If you really want some hard build date evidence, crawl up underneath the dash and find the part # tag on the wiring harness. It is going to be a white tag wrapped in the loom. It will have the part number and a date printed on it. See if you can find it and let us know what it says. You also may encounter a build date underneath the dash that looks like this one. I'm thinking that you have a purchase order document dated 1969 and that's why you are claiming the date? Or is it the 69 in the photograph you posted? What's written next to the 69, Alan? The hand-written kanji next to the big '69' on the warranty booklet says 'Nen Shiki'. A rough translation would be '69 year style'. This does not mean the car was actually built in 1969, and I would not place too much emphasis on it. It has as much relevance as the 'Series One' and 'Series Two' type comments in the grand scheme of things.. I'd also have to say that if someone made a purchase order for a car in 1969, and had to wait the best part of ten months for it to be delivered, then it must have been a pretty long queue that they were at the back of... No, it's not a purchase order it's just a three year new car warranty booklet. Look, there's no chance of this being a 1969 build year car. We know enough about these cars to confirm that it was built in the second half of 1970, and persisting with the romantic but nevertheless mistaken idea that it was built in 1969 is going to hinder the sale not aid it. It's going to be a bone of contention in the kind of uneducated discourse you often see on the likes of Bring A Trailer, and it is a distraction from the truth of the car itself. Better to accept it is a 1970 build year, and a rare survivor of the type with a lot of potential for a new owner to add value by putting some work into it. The title lists the car as a 1969, as does the customs paperwork that came with the car when the original owner imported it. Eric will be getting the title from his safe this weekend, so that I can post it & we can put this to rest. Fairladys were different from 240Z's. Subtle but different. Emblem on the pillar would solve most questions. Would somebody buy this to restore or collect? And do the flares really look like "light modification"? If the body is intact underneath, maybe, but I'd guess it's been cut. Not a 240Z guy, don't know what people look for, just curious. It's sounding more like a fairly run-of-the-mill Fairlady 240Z, isn't it? 'S30' prefixed chassis numbers produced in year 1969 ran from 'S30-00001' through 'S30-00953'. For 1970 year production the range was 'S30-00954' through 'S30-04330' and 'S30-04501' through 'S30-04504' (note the 171 car gap between '04330' and '04501'). This is not "Model Year" or 'Series', it is manufacturing date. Would somebody buy this to restore or collect? Sure. Why not? It could also be bought as a period-themed resto-mod project or any other scenario from mild to wild. It is a relatively rare surviving example of a 1970 Fairlady Z-L, and it appeals to certain people because of that. I'd say it is probably worth more than a similar condition north American market model of the same age. It's sounding more like a fairly run-of-the-mill Fairlady 240Z, isn't it? We need to be accurate here. A 'Fairlady 240Z' would be an HS30-S 'Fairlady 240Z', HS30 'Fairlady 240Z-L' or HS30-H 'Fairlady 240ZG' with an HS30-prefixed chassis number, produced roughly from September 1971 through August 1973. The car in question is not a '240Z'. Further to Alan's accuracy point: this car is a 2-liter with a 5-speed transmission. Nothing common about that in North America. The valve cover should say "NISSAN 2000 OHC". If you look closely at the picture of the interior, you will notice switches on the console for parking lights, right and left. There are many other peculiarities about this car that make it anything but common in North America. Looking at the range of S30 chassis numbers mentioned by @HS30-H in post 20, it looks like at least five times more HLS30's (240z's) were built in 1970. Seems to me that would be somewhat rare everywhere, especially considering there were more S30 model variations as compared to the models available in North America. Thanks. Reading back through the posts it looks like it would have value to a true Z car aficionado due to its uniqueness. I don't think that the OP is realizing that the people here have the most expertise in the area of anyone else he could find. He's stuck on what the documents show, but doesn't understand the idiosyncrasies of the early Datsun manufacturing. It's most valuable to the people who know these things, so no use arguing about it. Best to stick head up under dash and get more data. Actually, with today's technology you just have to stick a camera phone up there.